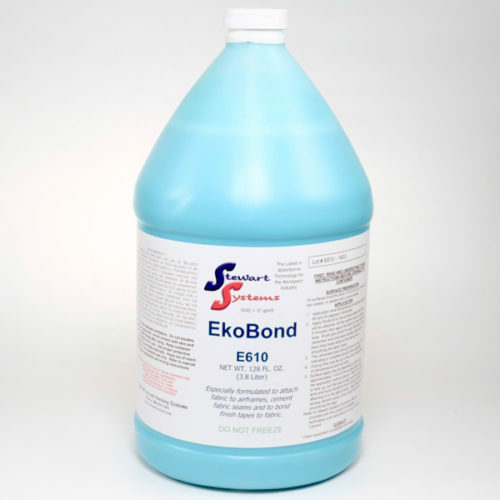 EkoFill protects the substrate from ultraviolet (UV) radiation by both absorbing and reflecting UV radiation. This is an extremely important characteristic for fabric covered aircraft as well as some composite aircraft and components. During testing for the STC, the complete fabric process containing three crosscoats of EkoFill was tested for UV resistance. That test involved a very intense UV exposure simulating many years of sunlight. The standard for that test is that the fabric can lose up to 20% of it’s tensile strength and pass. The result was that it lost 0.5%! EkoFill is extremely effective at stopping UV radiation and ensuring that fabric and composite components will last for many decades, even when stored outside. 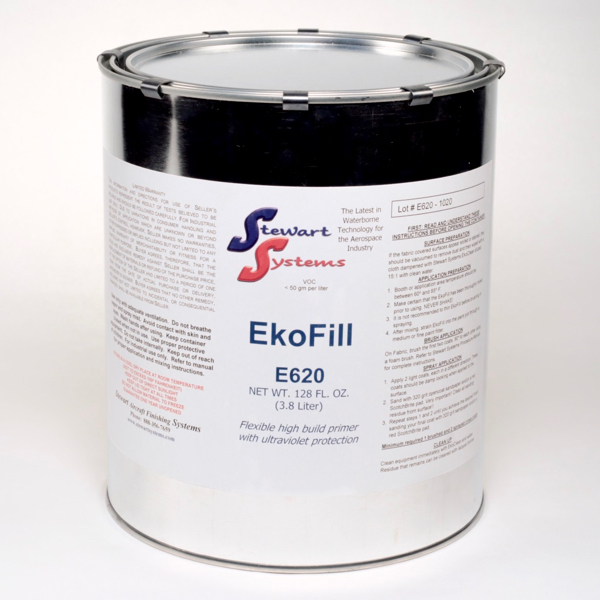 Secondly, EkoFill will fill minor imperfections and sand to a smooth, level finish. 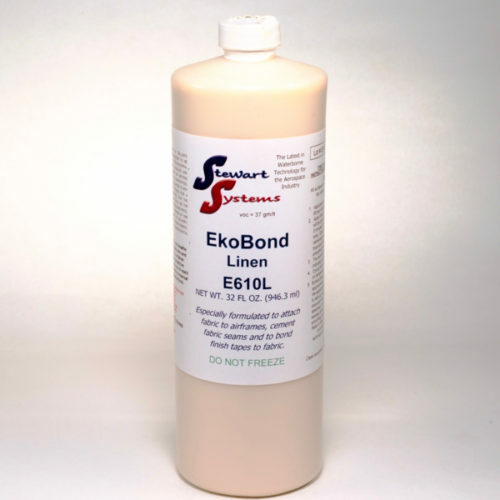 EkoFill can be used to fill and sand on fabric as well as composite. 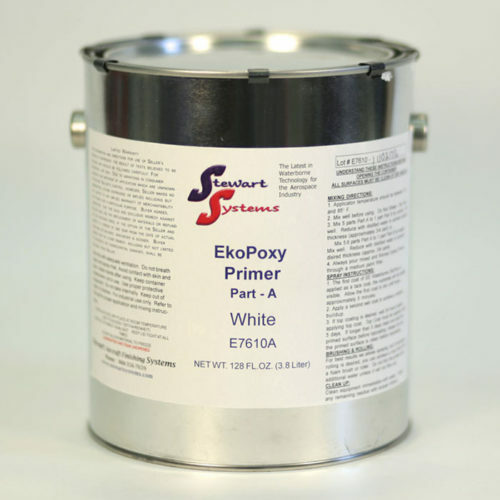 Thirdly, EkoFill as a primer provides an excellent surface for paint to adhere to. 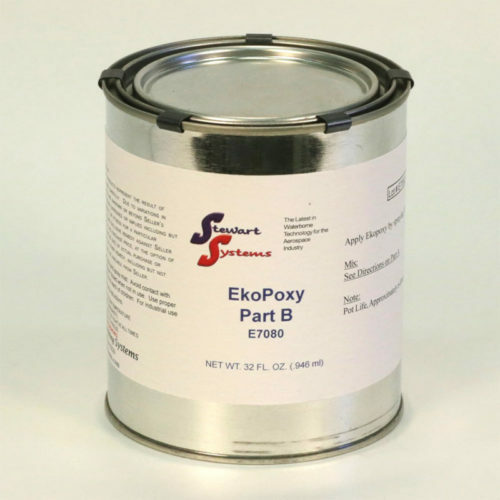 When properly sanded and cleaned, Stewart Systems EkoPoly Premium will bond to the EkoFill with extreme adhesion. 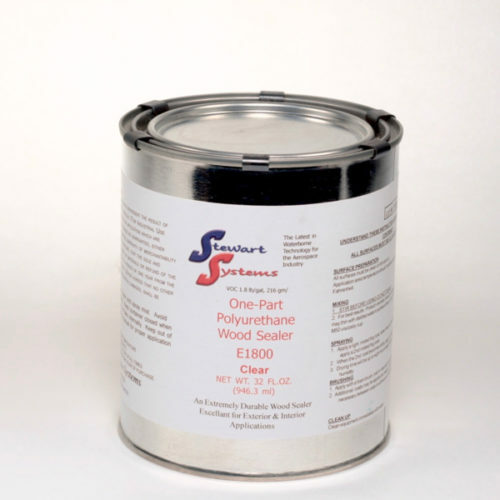 EkoFill may be used on fabric, composite, wood, vinyl and many plastics. 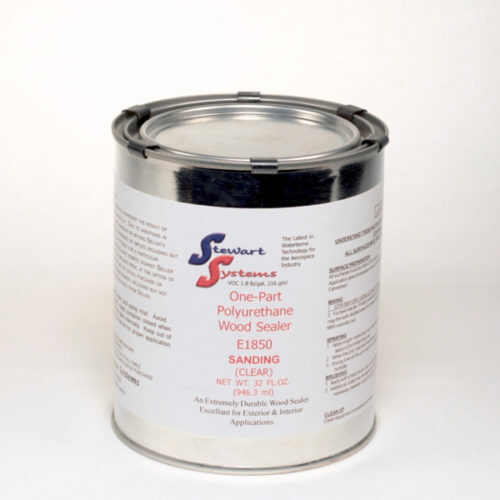 It is, however, not recommended for application on bare metal as it does not have corrosion inhibiting properties. Because EkoFill does not contain any metallic components, it will not interfere with radio reception or transmission allowing antennas to be mounted under fabric. The natural color of EkoFill is charcoal and therefore cannot be tinted to any other color.